Hey mamas! Well.ca is having a Spring sale and I wanted to share some of the sale items I am ordering (or already own) that I love! I regularly order baby and household needs from Well.ca, they have free shipping (in Canada) over $35 so they have become like an Amazon replacement for me; less cumbersome and with a wide selection of Natural & Clean products. I am almost embarrassed to admit this will be my very first Herbivore Botanicals purchase! I having headed so many great reviews on their products and have swooned over them for quite some time now. This facial oil contains reship oil (sign me up for anything with non-synthetic rose! ), sea buckthorn oil and CoQ10 which is majorly important once you get into your 30's and your natural production decreases and hence your collagen and ability to regenerate cells. Regularly priced at $110.00, sale priced at $82.50. I have used the thinkbaby sunscreen and bottles for feeding and have always loved their products. I found them to be highly rated as clean products by EWG (Environmental Working Group) and I actually prefer their sunscreen for me over many other clean sunscreens. Products are free from parabens, phthalates, BPA, PVC, PET and harmful chemicals - keep those away from baby's skin! This kit contains a full size (89mL) of their sunscreen and 237mL bottles with pump tops of their shampoo, body wash and bubble bath. Regularly priced at $54.98, sale priced at $27.49. I recently went away with a girlfriend and her 10 month-old baby girl. She had packed this white noise machine - she doesn't travel without it! I had been looking for a good white noise machine for home, but I also love how light and easily portable this is for travel. It's light and compact and great for making sure baby doesn't wake from you unloading the dishwasher while napping (I can no longer count on two hands how many times this has happened to me!). The price point makes this a no-brainer. Regularly priced at $29.99, sale priced at $24.99. I discovered Mabrook & Co. on Well.ca and decided to give them a try as I have been on a long quest to find the best clean deodorant. I have found some good ones, but for me they either have too much coconut oil was can stain clothes, or too much baking soda which can irritate the sensitive skin of the underarm. I think I can confidently say the Mabrook & Co. deodorants have been by favourite to date and I can't wait to try them Lemon and Rose! They also make a dry shampoo which I am guessing is as fantastic as their other products, its next on the list to try! This sweet and comfy one-piece is on mega-sale and I am grabbing it for the coming Fall for baby brother who will arrive in September. Originally priced at $99.96, it's a steal! Its waterproof, machine washable and can convert into leg muffs from the bunting style shown. The zipper placement also makes changing diapers easily accessible. There is another colour variation in bright white which to me felt like it would be perfect for a girl, although both the white and black and perfect gender neutral. This is by far the best travel crib on the market currently. I have had this crib for about 6 months and love it! It's light and couldn't be easier to set up and take down. We have the Nuna Sena Play Yard at my in-laws' home on the island and while it is nice and I like the aesthetic, I actually find this BabyBjorn to be so much easier to actually travel with. Absolutely LOVE this pack 'n play, and it's a great time to pick one up at a $40 discount (and free shipping). Mom-win! I recently discovered this Vancouver-based family company making lovely clean skin care at a Vanity Business Babes event. I was in need of a new eye cream so I decided to give it a try and I am really enjoying it. I received a sample of the Amaze Cream and loved the consistency, the hydration, and of course the cleanliness of the ingredients list. 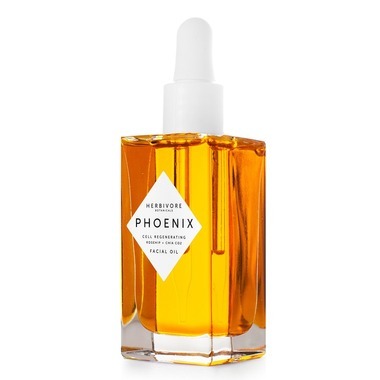 This product contains two of my current favourites for skin care; rosehip oil and CoQ10, but even more importantly does NOT contain any Gluten, Parabens, Phylates, Formaldehyde, GMOs, artificial fragrances, perfumes or colorant. 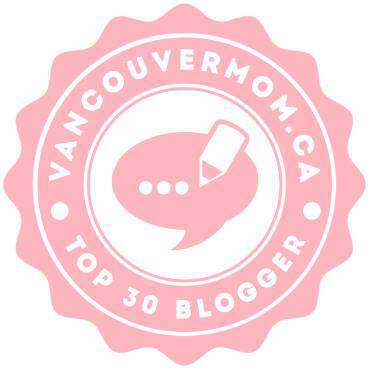 Again, too many great items to list in one post so heard over to Well.ca and check it out! Remember they offer free shipping on purchases over $35, so happy shopping mamas!